The unmistakable and iconic presence of Bon Jovi in recent times affords the band the kind of success and respect that few acts can ever hope to achieve. Bon Jovi most certainly were, in 1984, the most promising new rock band to emerge and one that was being tipped as main contenders for top new rock act. Herein, is one of their very earliest shows where the relentless desire for recognition stands tall in the Agora Ballroom, a perfectly fitting venue in which to witness a legacy in the making. A total delight for fans of the band and for lovers of glam metal. 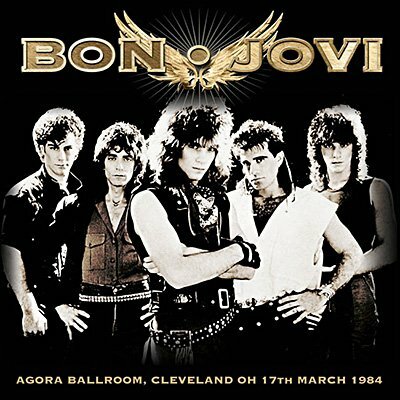 Klondike proudly presents Bon Jovi's 17th March performance from 1984 at Cleveland's renowned Agora Ballroom as part of the tour undertaken to support their debut, self titled album, released just two months earlier. Originally broadcast on WMMS-FM. Professionally re-mastered with background liners and rare archival photos.